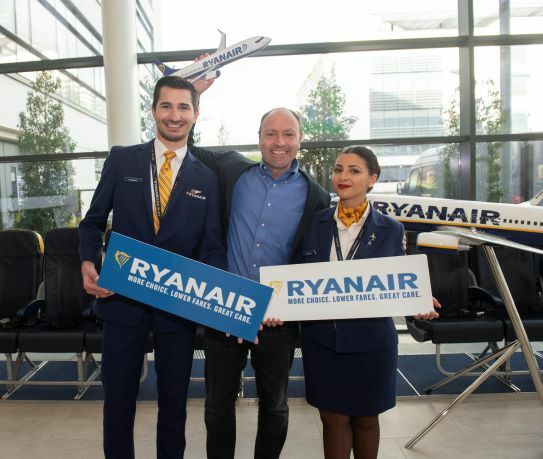 Ryanair, Europe’s No.1 airline, today (14 Feb) launched its London winter 2019 schedule, with 154 routes in total, including 2 new routes from Luton to Krakow and from Southend to Venice Treviso, which will help deliver 26m customers p.a. through Ryanair’s 4 London airports this year, as it grows its traffic by 5%. Ryanair also announced it will base the first 5 of its new Boeing MAX “Gamechanger” aircraft at London Stansted this summer, with more legroom and bright new interiors. “We are pleased to launch our London winter 2019 schedule with over 150 routes in total, which will deliver 26m customers through our 4 London airports this year. The first 5 of our new Boeing MAX “Gamechanger” will be based at London Stansted this Summer, offering more legroom and bright new interiors.